Did you know that affording a private, Christian school education may be easier than you think? 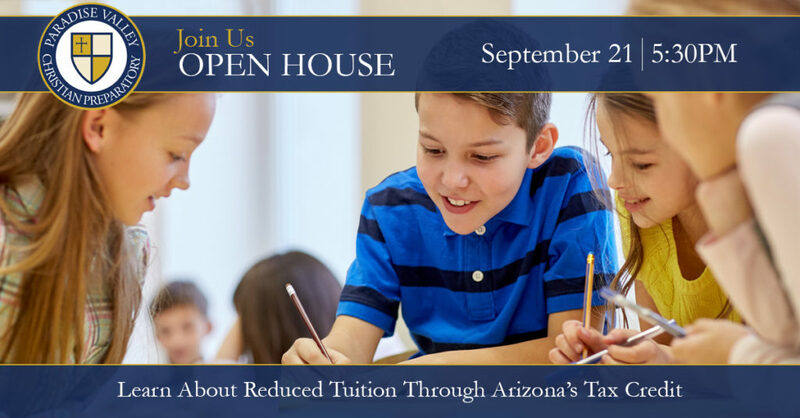 You’re invited to join us at our fall open house on September 21 from 5:30 PM – 8 PM, where you’ll learn how Arizona’s unique private school tax credit law enables thousands of families across Arizona to afford a private, Christian education! The evening will begin with a tour of campus, followed by a preview of curriculum and Q & A with administration, and conclude with a presentation by ACSTO on how to make a private, Christian education affordable. Current families are also welcome to attend the ACSTO presentation from 7 to 8 p.m. Interested in attending our open house on September 21? Fill in the form below to register for this great event! Can’t make it to our Fall Open House but want to know more about ACSTO?